The Hornets had won all four of their league games before the international break, but two goals in three first-half minutes from Romelu Lukaku (35) and Chris Smalling (38) ultimately sealed the win for United, who had Nemanja Matic sent off in injury time. Andre Gray pulled a goal back for Watford in the 65th minute, but they could not find another as their winning run was brought to a halt. 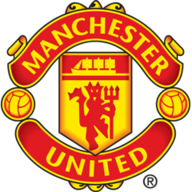 United ended the game with 10 men as Matic was shown a second yellow card after a foul on Will Hughes in the third minute of injury time, but held on for their second win in a row after two league defeats, and move up to eighth. 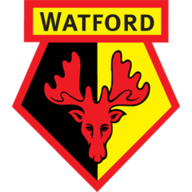 Watford: Foster (7), Janmaat (6), Cathcart (7), Kabasele (7), Holebas (7), Doucoure (7), Capoue (6), Hughes (6), Pereyra (6), Gray (7), Deeney (7). Subs: Femenia (5), Masina (n/a), Success (n/a). Man Utd: De Gea (7), Valencia (7), Smalling (7), Lindelof (7), Young (7), Pogba (8), Fellaini (8), Matic (5), Sanchez (5), Lukaku (7), Lingard (6). Subs: Martial (6), McTominay (n/a), Bailly (n/a). Watford began well and tested David de Gea in the 16th minute after a poor attempted clearance from Marouane Fellaini saw Troy Deeney take aim with a fierce drive, but the United goalkeeper made a superb, leaping save to keep him out. Ben Foster was excellent in the first half despite the scoreline, and made a wonderful save from Alexis Sanchez in the 32nd minute as a long ball from De Gea was put into the Chile forward's path by Lukaku. He then dribbled down to the right of the area before taking aim, but Foster was equal to it with a fingertip stop at the near post. Watford named the same matchday 18 from their win against Tottenham two weeks ago. Manchester United made one change with the injured Luke Shaw replaced by Ashley Young. But he was not able to keep United out three minutes later. Young whipped a cross into the area after his initial free-kick was played back into his path, with Lukaku waiting at the goal mouth to bundle the ball home with his stomach. The Watford players were calling for handball but there was no case to answer for referee Mike Dean. The goal spurred United into action as Paul Pogba twice tested Foster before Smalling scored their second in the 38th minute. Young's corner was headed toward the six-yard box by Fellaini before Smalling controlled with his chest and hit a volley on the turn to send the ball past the goalkeeper at point blank range. The second half saw few chances but did have a goal as Gray pulled one back for Watford in the 65th minute. Abdoulaye Doucoure cut the ball back for the striker at the top of the area, who had plenty of space and time to sweep a fine strike into the back of the net and give the hosts hope of a result. 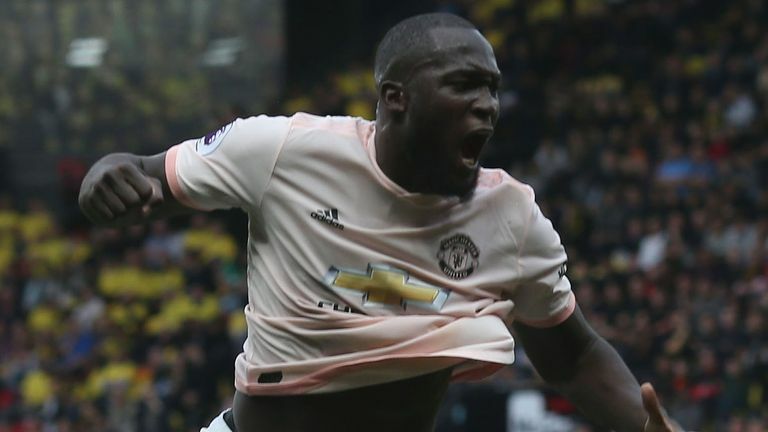 It was a frantic finish at Vicarage Road too, with a thunderous Doucoure volley forcing a good save from De Gea on the stroke of 90 minutes, before United went down to 10 men. Matic tackled Hughes on the right flank, and received a second yellow card after an earlier challenge on Doucoure also saw him booked, seeing him sent off. De Gea kept United ahead in the closing stages, pushing away Christian Kabasele's header from a free-kick before also seeing away a corner as the visitors held on for all three points. Jose Mourinho has won six of his seven Premier League encounters with Watford (L1), including each of the last four. Manchester United's Chris Smalling has ended up on the winning side in all 11 Premier League games in which he has scored, the joint-best such record in the competition (also 11 games for Ryan Babel). Manchester United have picked up a red card in consecutive Premier League games for the first time since September 2014. Will Hughes had a quiet game, and would not have done too much to put himself into Gareth Southgate's thinking. Chris Smalling did well and scored a brilliant goal, while Ashley Young had a good game in place of Luke Shaw. Jesse Lingard was not at his flowing best, and will feel that he could have done better. Javi Gracia: "I think the first half, they played much better than us. They had more possession, more chances and they played better. Jose Mourinho: "I am very happy with the points. I am very happy with something that represents for me the spirit of the team, but I feel a bit frustrated because we had everything in the first half to kill the game,. He may not be the most popular figure, but Fellaini played an important part in United's win. He put in a shift at both ends, and had a hand in both goals. Indeed, he picked up the assist for the second after his knockdown was scored by Smalling. He also helped out defensively, which was much needed at times, and looked solid when called upon to help out at the back. Watford will be live on Sky Sports next weekend when they take on Fulham in the Premier League at Craven Cottage. Man Utd get their Champions League campaign underway on Wednesday when they travel to Young Boys in Switzerland (8pm) before hosting Wolves in the Premier League on Saturday.